The final episode of the first half of the ninth season of The Walking Dead ends with a shocking surprise along with a shocking death as well. The episode is a reminder that The Walking Dead is a horror show and for the first time since Negan gave Glenn and Abraham their brutal deaths, the horror of the show has been set in tone as we finally got the brutal attack by The Whisperers. There were also great moments during the episode as well that involved Carol, Megan, and Michonne. Now it is time for me to give my thoughts about the newest episode as The Walking Dead will not return for a few months after this episode. Over at Alexandria, Father Gabriel has been given the role of taking control of Alexandria after the others leave to look for Eugene. He visits Negan in the cell twice as the first time, Negan kept bouncing a ball off the wall while he talks to Gabriel about Rosita and again later that day as Negan taunts Gabriel. Gabriel wants no part of taking Negan’s humor so he tells him for once in his life to shut up. Negan asks what is going on as Gabriel tells him that he should be out there helping Rosita but he is there with him right now. As they finish talking, Gabriel leaves but the guard that was with Gabriel forgot to lock the cell and Negan escapes later that night when he noticed the door was not locked after his ball went through the cell! I did not think that he would escape this early, but I am glad that he is out now. Henry has taken Carl’s role from the comic as he wants to learn about crafting weapons. He later meets Endid, Alden, Gage, Addy, and Rodney during dinner. Henry along with Gage, Addy, and Rodney decided to drink alcohol later that night and when Henry notices that Rodney and Gage were toying with a walker that was under some wood, Henry decides to put it down but he is stuck at the pit the walker was in. 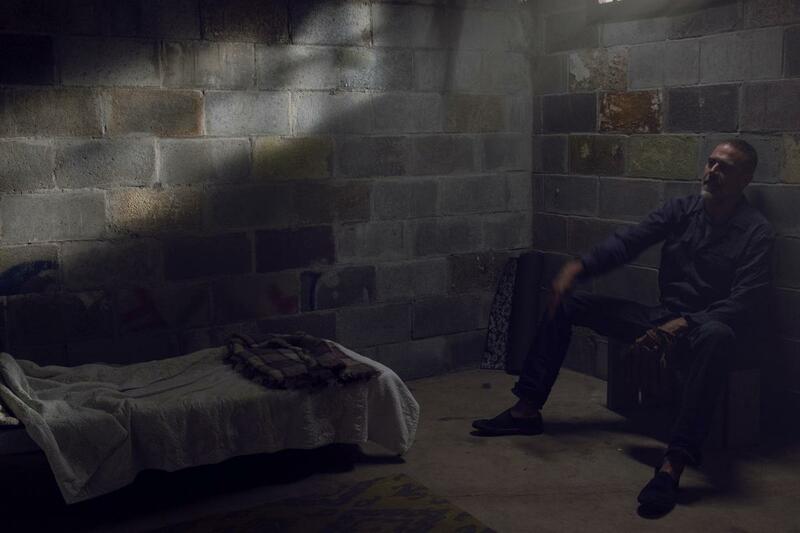 Henry ended up at the cell in The Hilltop as Earl told him that he will be there for two days for him to think about his actions. Earl also told him that he will speak to Jesus about releasing him early. Also at Hilltop, Michonne brings Magna and her group there and there is still disdain between her and Tara over the years (which has not been explained why yet, but we will find out) as Tara does not want anything to do with the group, but she does say that Jesus and her will talk about it. Tara also updates Michonne about the status of Eugene and Rosita as Michonne was not aware about what happened to them. As Michonne and Siddiq were seeing Rosita, Siddiq apologizes to Michonne to not letting her know about Maggie and then Rosita wakes up to tell them both that she knows where Eugene is. Thanks to Daryl’s dog, Eugene has been found at the barn as Eugene thinks that the herd from two episodes ago is looking for him since he said that he heard them circling around a few times. Eugene also mentions that it was not a normal herd at all. 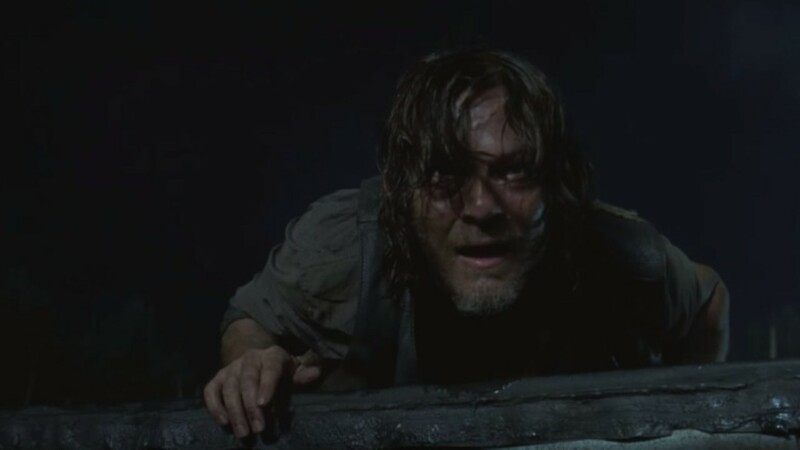 Daryl tried to divert the herd by using an alarm earlier that day, and firecrackers at night and even his dog tried as well but that did not work as The Whisperers were directing them. When Michonne, Magna, and Yumiko finally show up at the haunted looking graveyard, the action begins as they help clear the herd. Jesus even showed off his badass looking ninja skills to take down some of the zombies. As Jesus was clearing the herd in the graveyard that was trying too get through the gate, he is viciously and shockingly stabbed to death by a Whisperer which caught him off guard. After Jesus was killed, everyone kills some of the other Whisperers that were approaching them and then goes examine one of the walkers that they killed and they realize that it was a person wearing zombie skin as the group looked in horror. Following this, The Whisperers and the heard circle back around the group as they whisper more words as the episode ends. This was an amazing episode as the horror and the atmosphere was jumped up more than a hundred times. The surprise attack of The Whisperers was very well done and it was also creepy to see it play out on screen. I also loved that they used the graveyard for that scene because the fog added the terror of what was not coming. With Negan now out, Ezekiel planning the fair, the threat of The Whisperers, and situation with Henry, We are ready for a jam packed second half once it returns in a few months. We also did not get Alpha in this episode, but I have a feeling that she along with Beta will appear within the first few episodes of the second half. The first half of Season 9 has been refreshing and even with Rick Grimes’ exit, the show is still strong while he is not there. What will come in the second half, we will have to see.